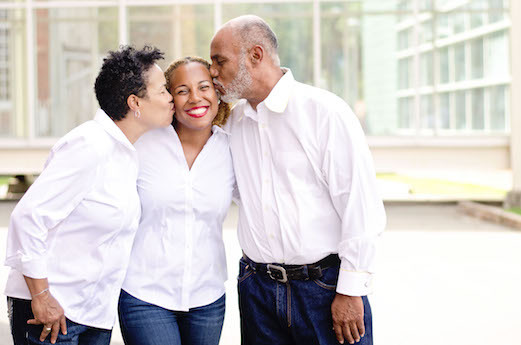 In early June 2015, just a few weeks before Father’s Day, my father was diagnosed with a rare and aggressive form of thyroid cancer. He crossed-over to the other side after a short, but hard-fought battle in October 2015. In his last days, I did what I promised myself at an early age that I would never do: I took care of the man that did not take care of me. Although not perfect, with the support of family and generous leave from work, I did my best to make sure he was well taken care of and loved during the four months between his diagnosis and death. I frankly shocked myself at how my hardened heart towards him melted knowing that his days were limited, and that my hopes and dreams of having a father/daughter bond would die with him. 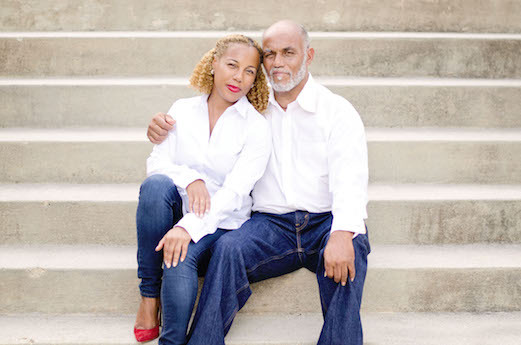 Let’s just say that although I was open to the possibility of forming a relationship and receiving the healing that I knew the Great Father wanted for me, I still met my dad with resistance. I put him through the wringer, punished him by using his first name instead of calling him dad, and told him upfront that if he was after my money (as if I really had much) he had another thing coming. I even put him on a schedule for what days and times he could call me. I wanted him to feel all the hurt he had caused me. I believed that I needed to see his suffering in order to accept his apology as real. Indeed, while I have never missed a meal, I wanted him to repay all of his debts (financial and more). And, not to be too critical of myself, he did actually deserve all of the grief, attitude, and honest reflection of his shortcomings because he had caused a deep hurt. As a child, I felt powerless and defenseless against the disappointments, the failed promises, the no shows, and complete lack of control over his absence. However, my adult self was empowered and able to create the boundaries and safe zone that my inner child needed on this journey of healing and reconciliation (or so I thought). But, one of the hardest things for any human to do is stand in his or her truth, especially when that truth reveals that you are the person in the wrong or the one that failed. As should have been expected, he initially met my resistance with a double dose of his own resistance. He was willing to go along with my program, but only for a short while. Months into our reunification, he seemed to call me at any other time except the one I dictated. On every call he made sure that I knew he was working very hard. Indeed, he refused my offer of financial assistance when he lost everything in a house fire (a moment that really did calm my fears about being taken advantage of). He sounded annoyed with me on our calls, which only flamed the fires of my anger, and naturally lead to fewer and shorter phone calls, lasting three minutes, two minutes, and eventually less than one. (Yes, I recorded the length of our calls, don’t judge me). However, we both stuck with it. Even though he knew he was going to get an ear full from me, he called anyway. Although he didn’t stick with my call schedule, I began answering anyway, even knowing the call would only last a minute. And in that mutual continued effort, we did begin to grow, both individually and together. For the first time, my father knew the gist of the happenings of my life, and I begin to learn more about his. His persistence earned my respect. I slowly began wondering more about him, the person, beyond the failed father. I learned that there was no amount of shaming, blaming, seeing him suffer, or pointing out his failures that could match the internal dialogue he already had with and felt about himself. He did in fact suffer greatly in life. He was already ashamed and knew he was to blame, even if he lacked the ability to articulate or own up to his truth. In making him stand in the truth of some of his inconsistencies, such as why he seemed to be working so hard but never had any money, he garnered the courage to share that he was still battling a nearly 30-year drug addiction. I knew that he had battled with drug addiction as a child only by word of mouth, but that was during the era of demonizing drug addicts and merely viewing the issue as extreme personal irresponsibility, recklessness, and yet another form of black pathology. As a mature adult, however, I learned more about addiction and the ways in which it changes a person. As an adult, I was able to offer support in exchange for his courage in admitting his addiction, rather than rejecting him for it. It now made sense why he was unable to pay his child support, why he stayed away, and why he seemed burdened all of the time. This understanding helped me to release him from his debt (both financial and otherwise), and our conversations begin to shift more towards understanding and mutual encouragement. We began making plans for visits. He received his first Christmas present from me, and while a little disappointed, I was ok when he didn’t have one in return. We were by no means perfect in our attempts. There were still moments of assuming harmful intentions behind each other’s’ imperfect actions, and subconscious attempts to punish, project feelings on each other, and to blame. I’m grateful for the family support and spiritual counseling that I received during this time, which helped me rethink some perceived slights and taught me to let some imperfections go unacknowledged. I was finally ready to go all in, accept him as he was (the things I liked and the things I loathed). By this time, it was late May 2015. I had planned to surprise him with the gift of calling him dad when he visited me to attend a Nationals’ baseball game in Washington, D.C. for Father’s Day 2015. But we never made it to that game, and it was not God’s will for this story to end with a happily ever after (an element of my story that I am still making peace with). Instead, we spent our first Father’s Day together learning how to operate his feeding tube, patching the hole in his esophagus possibly caused by a tumor, and attending church. Our plans to cheer on the Nationals were replaced by our crying together over the realization that his absence would soon become permanent. This was the first time that I cried for him rather than about him, and that transition behind the purpose and reason for my tears has been part of the healing process. It is the manifestation of a healthy adult putting off the child-like internalization of the pain someone else appears to be causing and understanding that another’s behavior is merely a reflection of his or her inner state. I had desired and hoped for the Great Father to heal this area of my life and to restore this relationship with my dad so that we both could move forward with our lives and do the things we missed out on. I had high hopes that I would get that father/daughter dance at a future wedding, and that he would get a second chance at fatherhood by eventually becoming grandpa. I had envisioned a cute little story of forgiveness that would have allowed for the possibility of moments. However, the Great Father had bigger plans. I now know in my heart that He wanted to use my dad and me to help bring healing to others, and He placed on my heart to write a book to help children (and the child inside of many adults) better understand the absence of a parent. I am delighted that He used me to channel the spirit of an absent parent speaking to his or her child, in the tone of the Great Father, to explain some of the reasons for his or her absence. 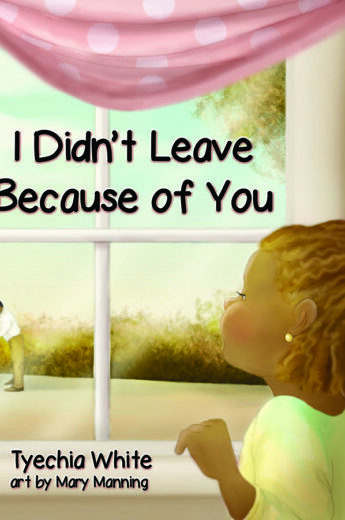 All of the reasons given in this book tell the story behind my father’s absence, and the absence of his biological parents. I believe that many of you will identify with these same factors as you dig a little deeper into the history of your own absent parent (or possibly yourself if you are the absent parent).